Did you know water is one of the main components of beer? 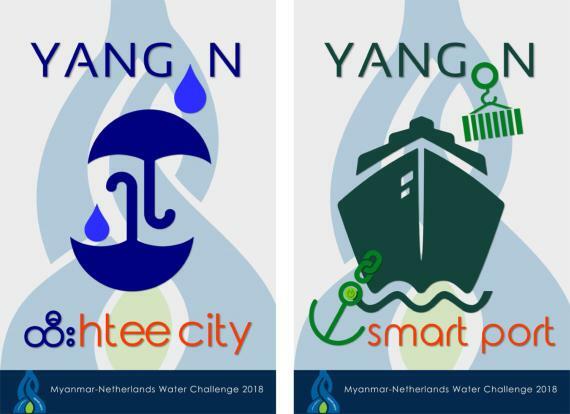 A group of 25 students, participants of the Myanmar-Netherlands Water Challenge, learned this when visiting Heineken Myanmar. The Heineken brewery is operating since 2013, producing 6 different types of beer. Located in the north of Yangon, the brewery has increased it brewing capacity over the years and is now home to 88 employees. During the visit, students had the opportunity to talk to many members of staff and learn about the packaging, the process and maintenance at the brewery. Special emphasis was placed on the safety on the brewery grounds. The brewery is built in an area where frequent flooding occurs. In order to safeguard the factory the ground level was increased during the starting phase of the building of the factory and warehouses. As a result the grounds are now as high as the adjacent roads and the brewery is better protected from flooding occurring in the area. The students learned that beer consists of about 5% of alcohol, the remaining 95% is water. As such water is an important resource for Heineken. Manager Yar Zar Moe explained that the water is sourced from a 70 metres deep well close to the factory. Mr Yar Zar Moe told the students that for Heineken alternate water sources can be found, for example for Hlawga lake which is located not too far away of the factory. Heineken is passionate to keep on improving and learning about the value chain of brewing. It's building more and more partnerships with farmers to improve specific rice production. Water is not only an important ingredient, it is also used extensively in the production process. In the packaging area the new (or return) bottles are rinsed in a washing machine with water and steam before they reach the filler where the beer is injected in the bottles. Also for the filling of cans and kegs the rinsing is part of the process. Cans arrive on pallets, after rinsing and filling the product is pasteurized and ready to be put on pallets in the warehouse. For the Heineken premium beer to be produced a production period of about 24 days is required. This is much more than the processes for Tiger beer and Regal 7 beer, thus being an indicator of the premium status of the Heineken beer. In the production process of beer water is involved in every step. On average, the brewery uses about 3.6 hectolitres of water for 1 hectolitre of beer. Heineken is constantly trying to balance this ratio, creating maximum efficiency and sustainable use of resources. Within the brewery the TPM Manager, total productive maintenance, is responsible for continuous improvement of all activities. The visit to the Heineken brewery marks the end of this year's Myanmar-Netherlands Water Challenge, which started in January of this year. After a successful Campus Tour and Engagement day over 40 students participated in the three day Challenge, held from October 30 until November 1st at Yangon University. The participants of the Challenge were awarded with the honour of getting a look behind the scenes. The visit to the brewery was made possible by Heineken Myanmar, with the aim of giving students insights into the diverse opportunities that exists when pursuing a career in the water sector. Speaking to process technologists, maintenance experts and the waste water treatment manager students were able to learn more about the important role of water specialists and engineers.